When people purchase a software package that they want to install on their hard drives, they may get a little bit more than really want. In specific, unsolicited adware that’s installed automatically with the version of software application that the user needs. Because adware can cause problems with an individual’s computer that they did not anticipate, it’s not uncommon for the user to look for applications that will remove these programs. Uninstalling these advertisements does not have to be difficult today since there are numerous adware removal tools that can be used. If you need a little assistance with finding effective tools that can remove adware, here’s the top 5 that you can consider. The bit defender adware removal is a dedicated tool released by Bitdefender to get rid of adware. Available for both PC and Mac, this software is considered to be one of the bests in the market. After installing Bit defender, you can take advantage of the numerous features provided including identifying the shady and malicious software that has been installed on the PC. 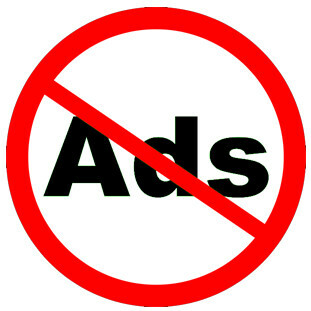 Once identified, this application will remove browser ad ons, annoying tool bars and apps that the users do not want. Before the removing process is initiated, however, you will have an opportunity to review the list that has been compiled so that you can select the programs that you do not want or need. Malwarebytes is another adware tool that is popular in this industry. It is available to users in both free and paid versions so the user will have a choice, according to their needs. The difference between the two, however, is the paid version of this adware removal program is initiated automatically instead of performed manually by the user. Malwarebytes is not only good for removing ads that the user does not want to weight their system down, but also removing other malicious programs that have been installed by hackers. Therefore, it is important for users to review this software to see what features that they can best benefit from. If the user would like to search further for a removal tool that will perform the functions that they need, they may also want to consider another great option that is on the top of the list as well. One in which people have used all over the globe is more commonly known in the industry as McAffee. Users who want to consider this application can find out more about its removal process and protection on their official site. Especially, since this software removal tool has numerous other features provided. Some of the most essential includes adding a two-way firewall, parental controls and online backups for their users. BullGuard can also be found online since it has great reviews from consumers. With 24/7 live support provided, users can use this removal tool with peace of mind. Especially, since they can contact a representative with any questions or problems that they may encounter. BullGuard will also remove other non-essential applications from the hard drives when found. So, the user may want to review the removal process that is contained in this application along with the pricing for any additional features that’s offered. Kapersky is another choice that users prefer when they need unwanted software ads removed from their systems. Since not all removal software applications are equal, some are known for performing better than others. Therefore, one of the top reasons for selecting Kaspersky as a first choice involves its 100% compliance in removing all of the unwanted ads from a hard drive. Free trial and free virus scans are also provided for those that need it. Though most users watch what they install on their computers to avoid problems, they cannot avoid all of them because of adware that is automatically loaded with many of their most coveted software applications. To assist with getting rid of these unnecessary ads, there are lots of software application that can assist with adware removals. Because not all software removal applications and tools are the not the same, users want the best to take care of the problems that they encounter. Five of the top adware removal tools in the industry today include Bitdefender, Malwarebytes, McAfee, BullGuard, and Kaspersky.